iBall has launched its new laptop called CompBook i360 in India. This device runs on Windows 10 operating system and comes with a 360 degree convertible screen. The CompBook i360 is available in a single colour option of Vogue Soft Gold and is priced at Rs. 12,999. In terms of specs, the iBall ComBook i360 comes with an 11.6 inch HD touch screen display with multi-touch support and is powered by a 1.84GHz Intel quad-core processor, paired with 2GB RAM. For storage the laptop comes with 32GB internal storage that is expandable to 64GB via microSD card. The laptop powers on a 10000mAh battery that delivers up to 7 hours of average usage time and a video playback time of up to 7 hours. For connectivity the iBall CompBook i360 comes with Wi-Fi, Bluetooth v4.0, 2 USB ports (1 x USB 3.0, 1 x USB 2.0) and HDMI port. For video calling and clicking images, the CompBook i360 comes with a front facing camera and also backs other features like 3.5mm jack and dual-speakers. Sandeep Parasrampuria, CEO and Director of iBall went on to comment on the launch and said, "In this era of touch screen devices, our strategic partnership with Microsoft and Intel has created a seamless combination of futuristic design and functionality. The iBall CompBook i360 is by far the most affordable Touch Screen and 360 Convertible laptop in the market. Outfitted with the finest, the i360 powered by Windows 10 will strike the right connect with the dynamic needs of today's first-time aspiring user audience, looking for a touch-based laptop." iBall has launched its new laptop called CompBook i360 in India. This device runs on Windows 10 operating system and comes with a 360 degree convertible screen. The CompBook i360 is available in a single colour option of Vogue Soft Gold and is priced at Rs. 12,999. In terms of specs, the iBall ComBook i360 comes with an 11.6 inch HD touch screen display with multi-touch support and is powered by a 1.84GHz Intel quad-core processor, paired with 2GB RAM. For storage the laptop comes with 32GB internal storage that is expandable to 64GB via microSD card. The laptop powers on a 10000mAh battery that delivers up to 7 hours of average usage time and a video playback time of up to 7 hours. For connectivity the iBall CompBook i360 comes with Wi-Fi, Bluetooth v4.0, 2 USB ports (1 x USB 3.0, 1 x USB 2.0) and HDMI port. 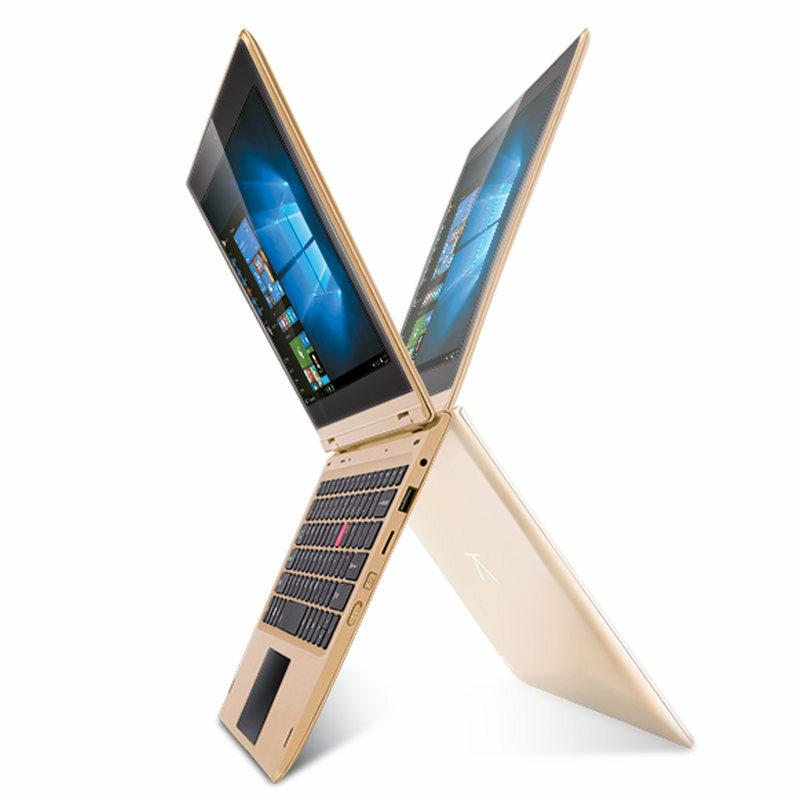 For video calling and clicking images, the CompBook i360 comes with a front facing camera and also backs other features like 3.5mm jack and dual-speakers. Sandeep Parasrampuria, CEO and Director of iBall went on to comment on the launch and said, "In this era of touch screen devices, our strategic partnership with Microsoft and Intel has created a seamless combination of futuristic design and functionality. The iBall CompBook i360 is by far the most affordable Touch Screen and 360 Convertible laptop in the market. Outfitted with the finest, the i360 powered by Windows 10 will strike the right connect with the dynamic needs of today's first-time aspiring user audience, looking for a touch-based laptop."